If you are one of the millions of adults who are missing one or more of their teeth, you understand the struggle of living with an incomplete smile. Luckily, no matter if you lost your teeth due to tooth decay, gum disease, or injury, there is a solution. 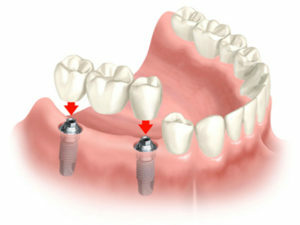 You can replace your missing teeth with a dental bridge. A dental bridge literally bridges the gap in your smile that is caused by one or more missing teeth. It is made up of two or more crowns, which are placed on either side of the gap, and one or more false teeth in between. A dental bridge is a simple yet effective way to restore both the look and function of your smile. Are you missing one or more teeth? Then schedule an appointment with Country Isles Dental to restore your smile with dental bridges today.